The Coven welcomes new members once a year. We are always interested to hear from sincere followers of the craft. In the first instance those new to us will follow the traditional 13 moons integrating into the group. They will become a part of a close knit magical group working and practising together, and will also be invited to participate in most of the coven’s rituals. After the first year they will be eligible to apply to join the main coven. 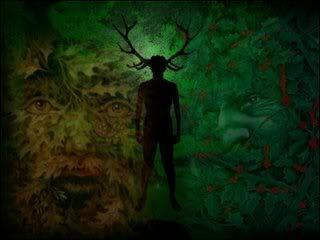 We stress the importance of connecting with nature around us, with local deities and spirits of the land and how to link to that flow of life, to the tides of life and to the that vast web that connects us all and will nearly always practice outside, in the woods. All this is linked to the turning of the year and the elements. We can only do this by sharing our experiences and encouraging the those new to us to develop their own magic and connect with it in the way of our group. We will introduce you to the basics of witchcraft and, as we will also be working towards you being a member of the coven, we will also be introducing you to our ways. We are assuming that if you are interested in joining us you want to work in a group situation and part of our training is aimed at creating group energies between us all so be prepared to be open, honest and accepting of others. Everyone is also encouraged to practise alone and to share their experiences. Our coven is a group of like minded people who aim to work with a group mind, in rapport with each other and who share their thoughts and feelings and development within the craft. Our members come from a variety of backgrounds and experiences. We usually meet once a week for rituals, social events, discussions or for our development circle. We never accept anyone under 25 years of age into our coven, our training or to any meetings or rituals and we will never enter into any correspondence with anyone under the age of 18. You will need to be located in our around our local area in the North West of the UK so you can travel easily to our meetings. Acceptance into the training year does not automatically mean acceptance into the main coven. Derbyshire. I am struggling to find any local groups that share my interests and only have one friend who shares my passion for crystals and healing. I currently don’t know anyone who shares my passion for the moon spells rituals cosmology magick book of shadows etc and it’s sad because I would love to.meet new people. I’m a complete beginner and only recently started studying for the first degree in correllian studies but it’s an online e course and I feel I could learn so much more practically. Just wondering if you could point me in the direction of any groups that accept 22 year olds. I have been trying follow Wicca for quite a while now and haven’t really had any guidance. I would very much love to join this training program. Please could you email me some details as to how to get to you, what the procedure is next? I am based in Stockport.